Certainly cause to whistle a happy tune! Broadway's The King and I, which received nine Tony nominations including Best Revival, has extended indefinitely at Lincoln Center’s Vivian Beaumont Theatre. 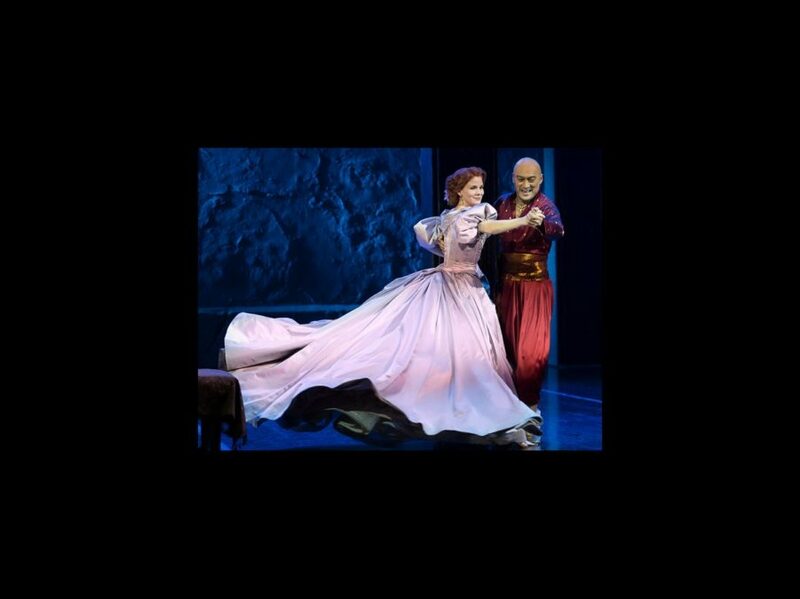 Directed by Bartlett Sher, the musical stars Ken Watanabe and Kelli O'Hara; all three garnered Tony nods for their work on the production. A national tour has also been announced, and will launch in November 2016 in Providence, RI. The tour will play multi-week and single week engagements throughout the 2016-17 touring season and beyond. Casting and additional engagements for the tour will be announced later. The King and I is set in 1860’s Bangkok and tells the story of the unconventional and tempestuous relationship that develops between the King of Siam (Watanabe) and Anna Leonowens (O’Hara), a British schoolteacher, whom the imperious King brings to Siam to tutor his many wives and children. The musical’s score includes Getting To Know You, Hello Young Lovers, Shall We Dance, I Have Dreamed and Something Wonderful. In addition to O’Hara and Watanabe, the Lincoln Center cast includes Ruthie Ann Miles as Lady Thiang, Conrad Ricamora as Lun Tha, Ashley Park as Tuptim, Edward Baker-Duly as Sir Edward Ramsey, Jon Viktor Corpuz as Prince Chulalongkom, Murphy Guyer as Captain Orton, Jake Lucas as Louis, Paul Nakauchi as Kralahome and Marc Oka as Phra Alack. The show first opened on Broadway on March 21, 1951 and earned five Tony Awards including Best Musical. The tuner has received three Broadway revivals, most recently in 1996 with a production starring Donna Murphy and Lou Diamond Phillips.